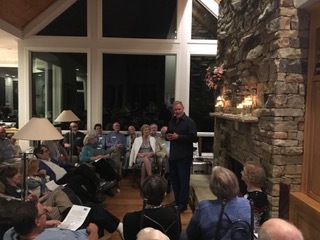 Tenor Jay Hunter Morris informal talk on What It’s Like to Sing a Six Hour Opera followed by Q & A.
Venue: Private home in Chapel Hill. Directions provided when you reserve your spot (email Margie Satinsky or call 919-383-5998). Read a review of the event on Opera Lively.